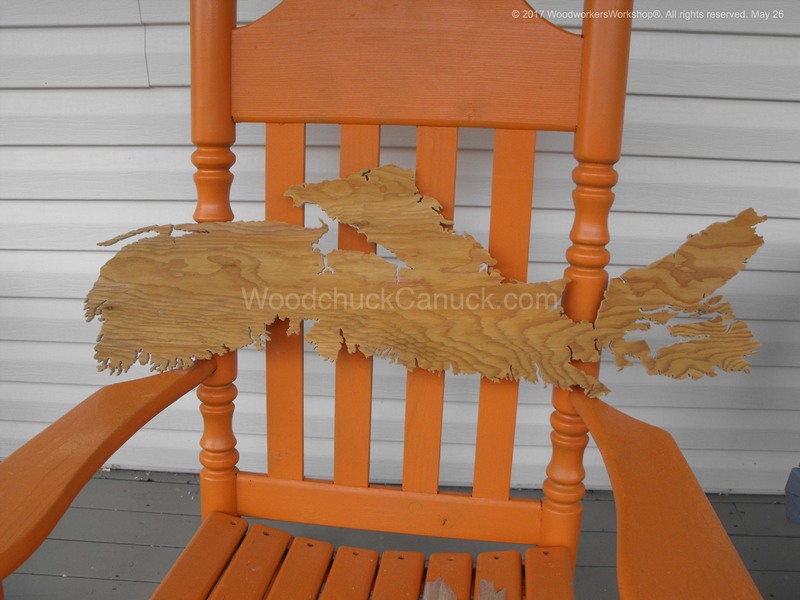 If you are looking to build your own projects, visit our online store for thousands of woodworking plans and patterns. 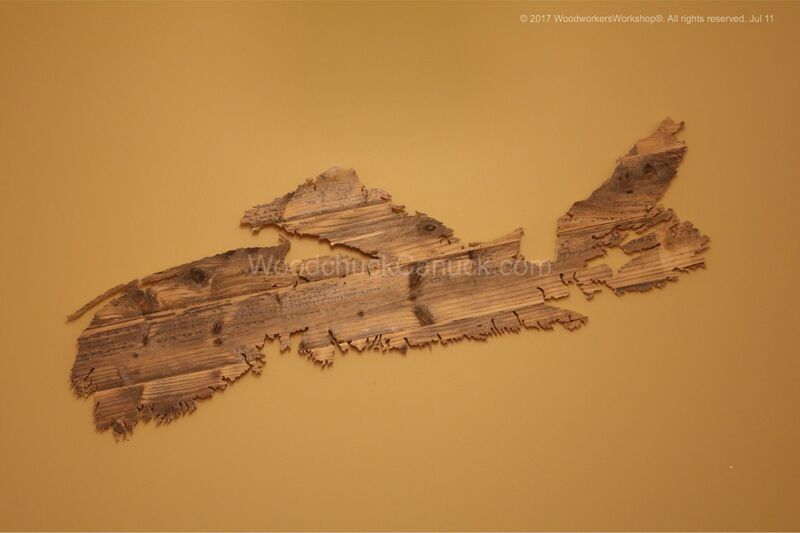 If you are looking to have something built, either from our online store, or a custom project, feel free to contact me. EXAMPLES BELOW: Custom sizes and orders welcomed. 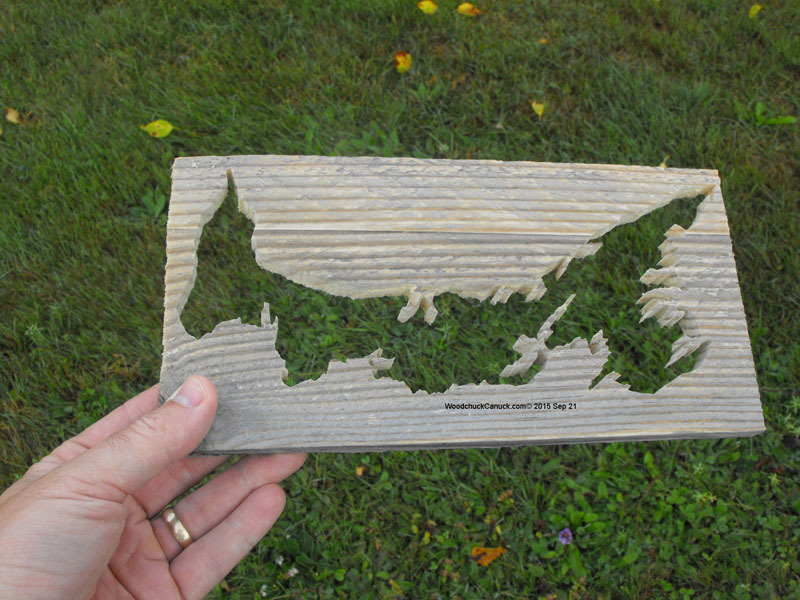 Wood maps Nova Scotia #50 and #51 (SOLD) – A custom order for two wedding parties. 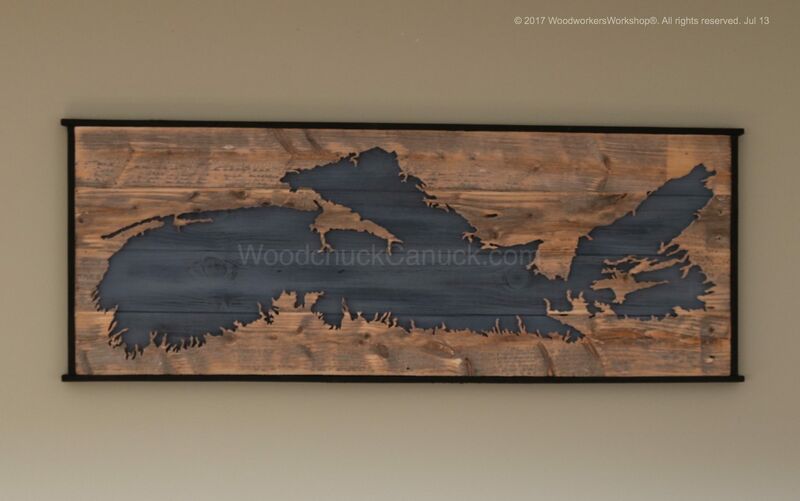 Wood map of NS #35, 24 inches long, black accent, SOLD. 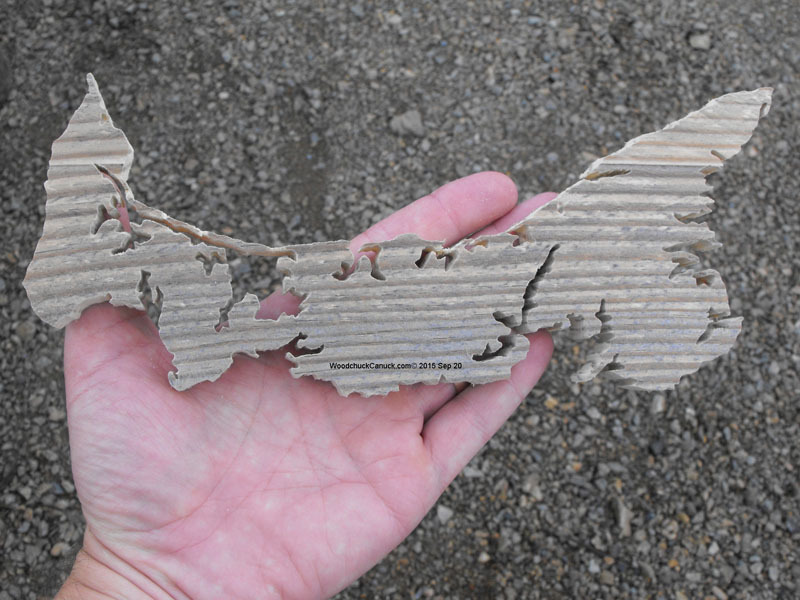 Two maps. 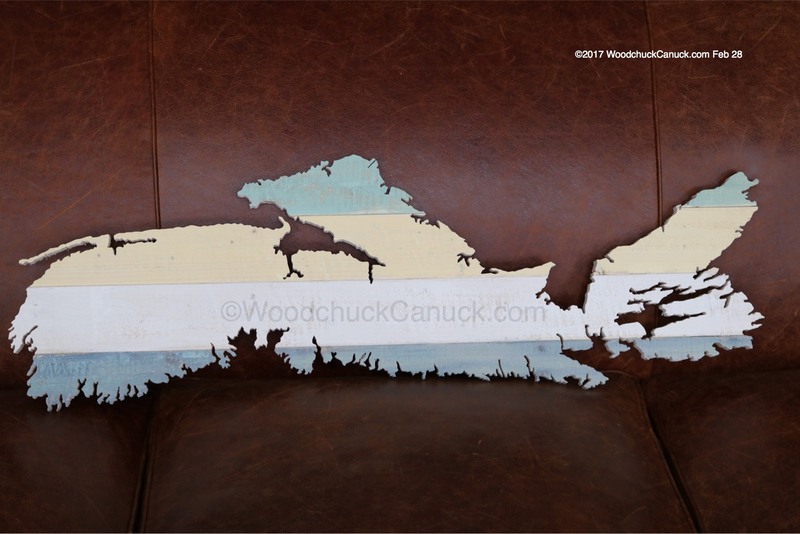 Wood Map Nova Scotia #7 style. Both sold. 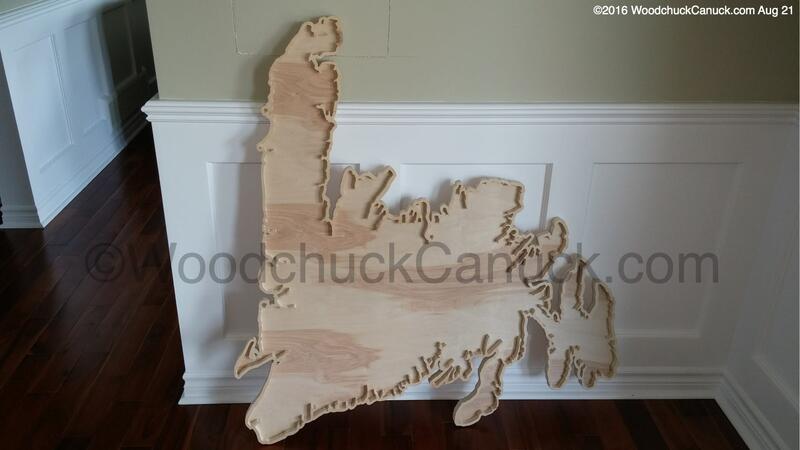 Custom order Wood Map of Nova Scotia (SOLD). Contact me for your custom request. 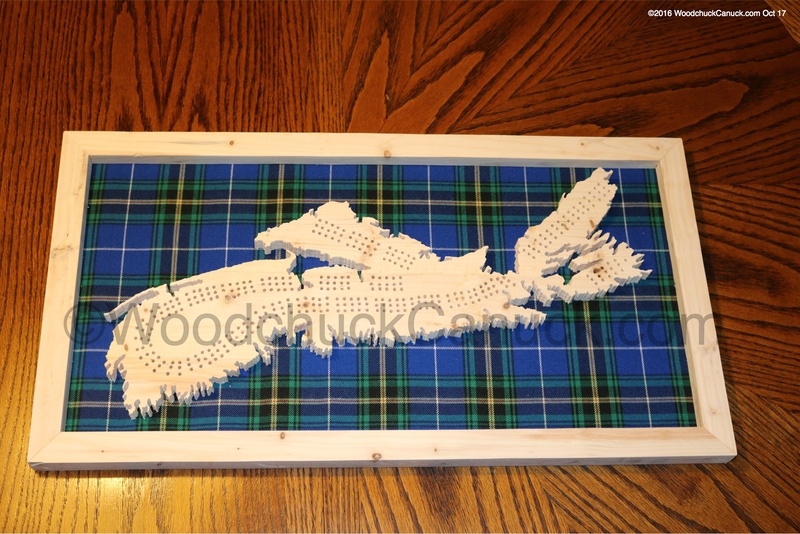 Wood Map of Nova Scotia no 19 SOLD. Contact me for your custom request. 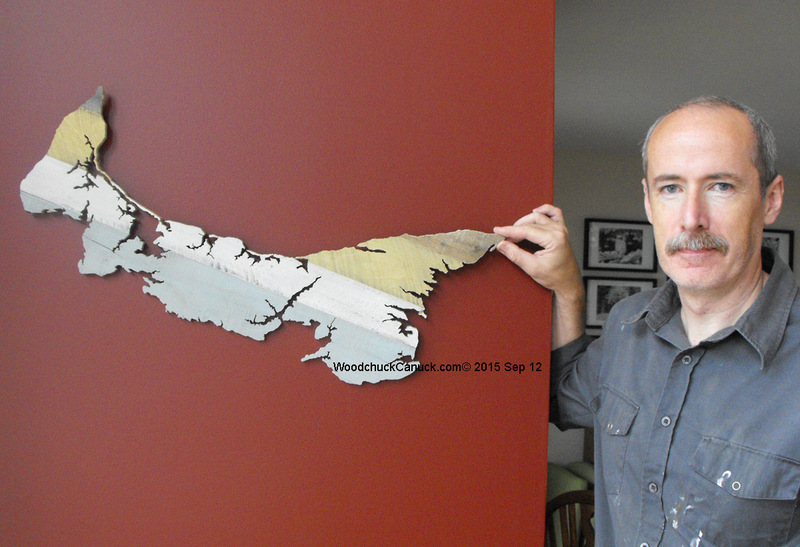 Start at the NB border, make you way down the Annapolis Valley, down along the South Shore, passing Halifax and traveling through Guysborough County. 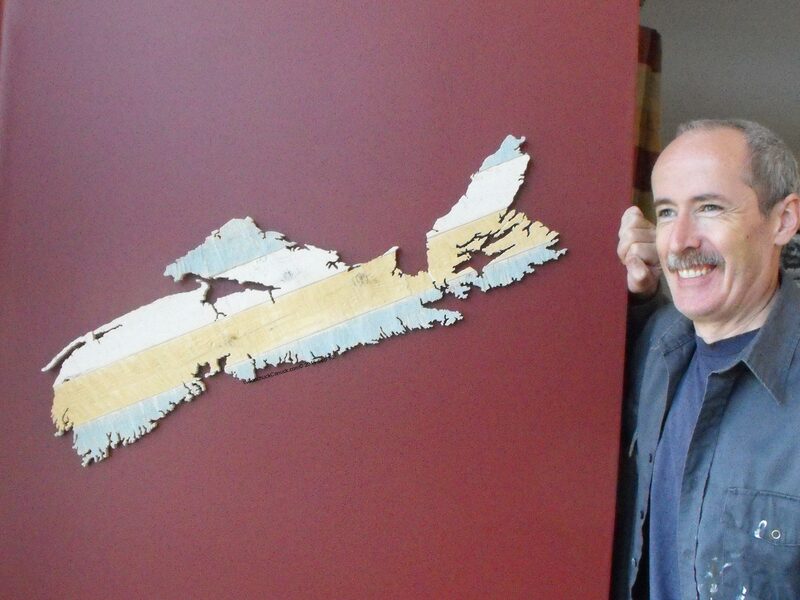 The skunk line is at the Causeway. 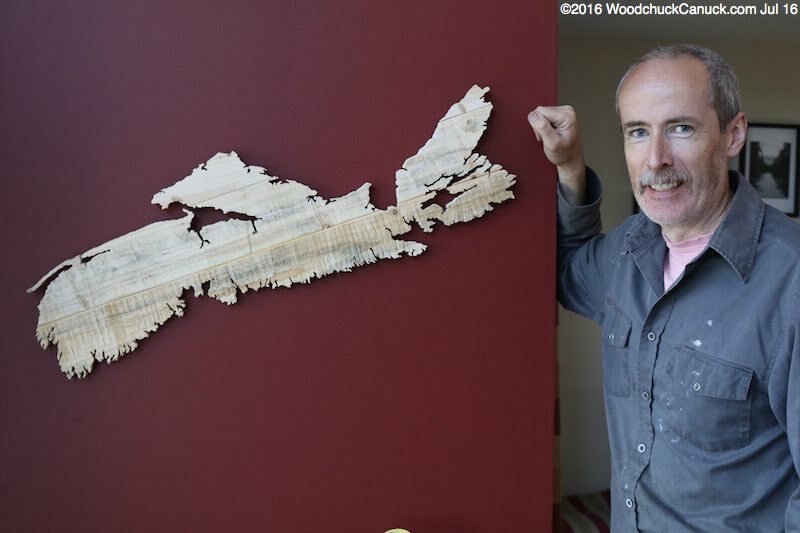 Travel the last bit through the Highlands of Cape Breton and and finally through the Bras d’Or Lake, then peg out near the Sydney area! 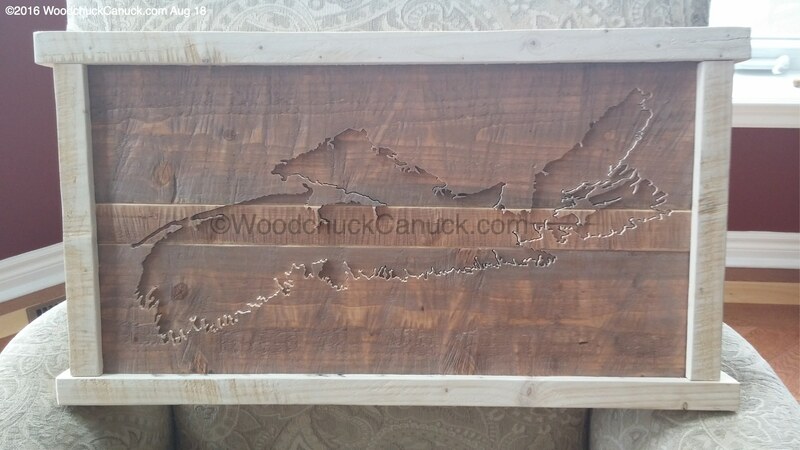 Wood map of Cape Breton 24 x 32 inches. 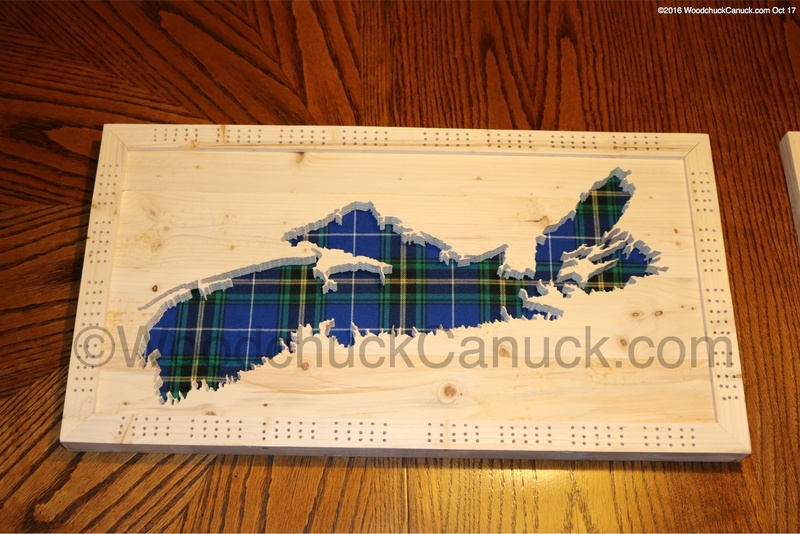 A custom order for a man in Ontario doing a family geneology project. 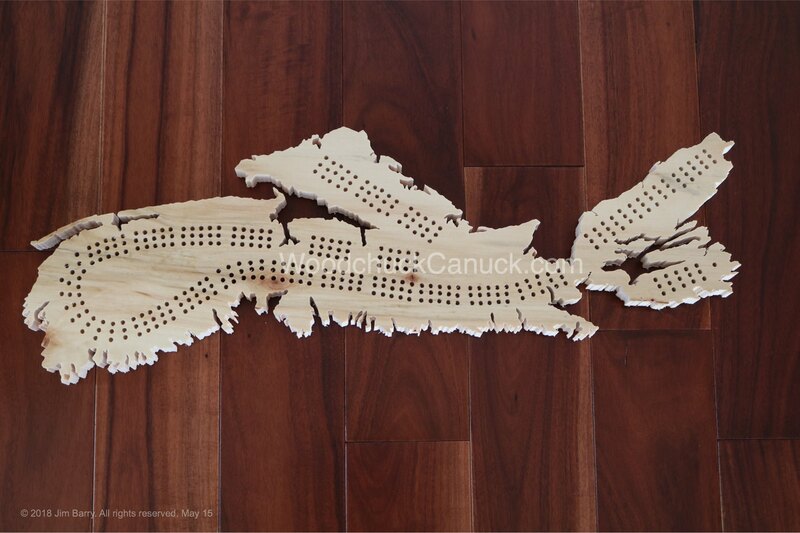 Nova Scotia Wood Map No.17 (SOLD), about 20 inches long. A similar one can be made. 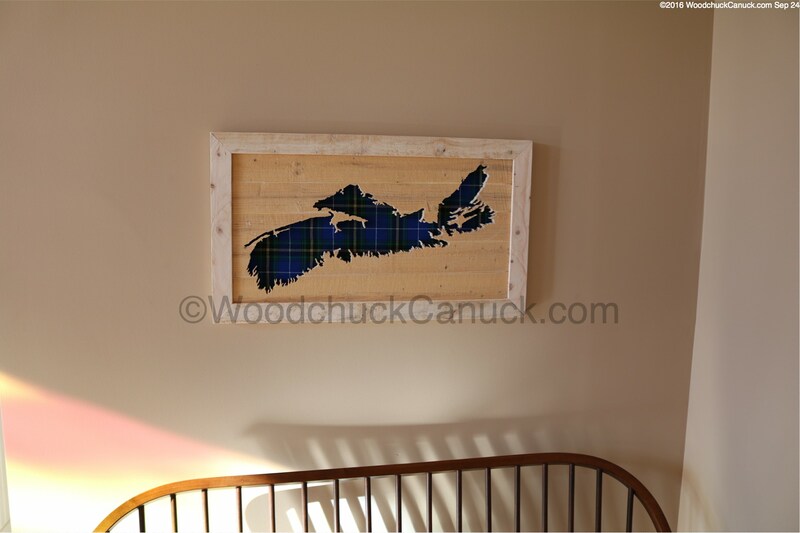 Framed wood map Nova Scotia crib board (SOLD) – Poplar wood frame, and a poplar wood map. Frame painted semi-gloss blue. 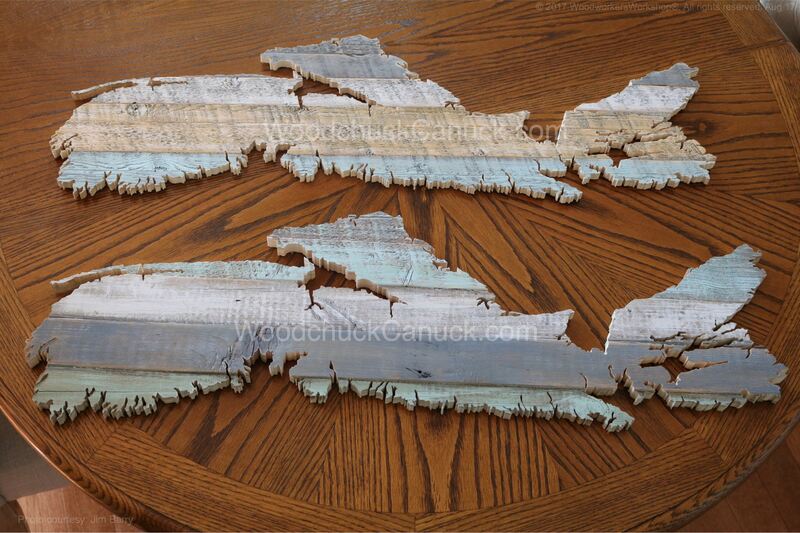 Map finished in a clear coat, matte finish. 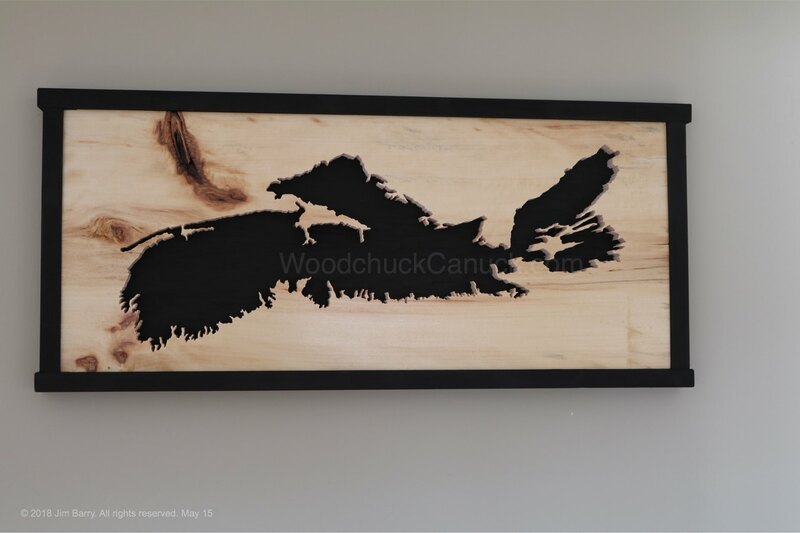 A wood map of Nova Scotia, 23.5 x 14 x 1-3/8 inches. 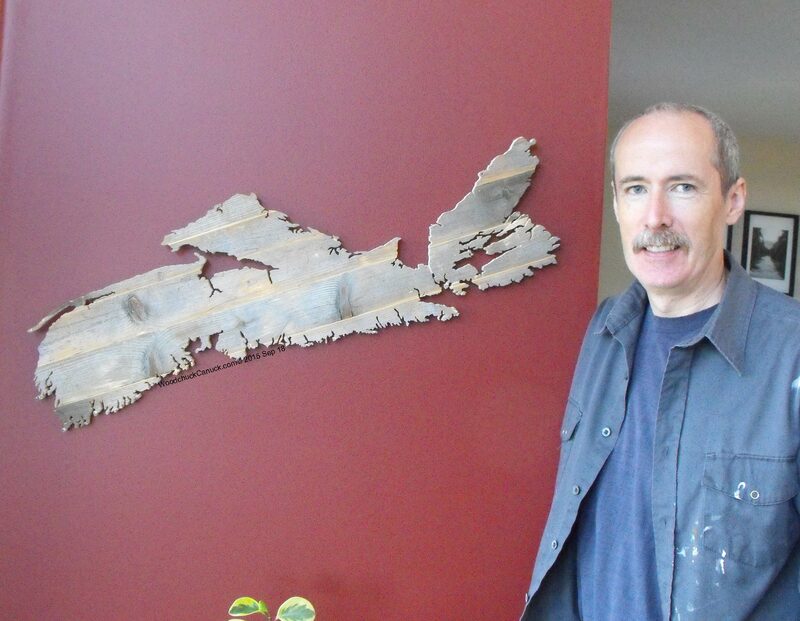 Made in Nova Scotia: pallet boards craft project. 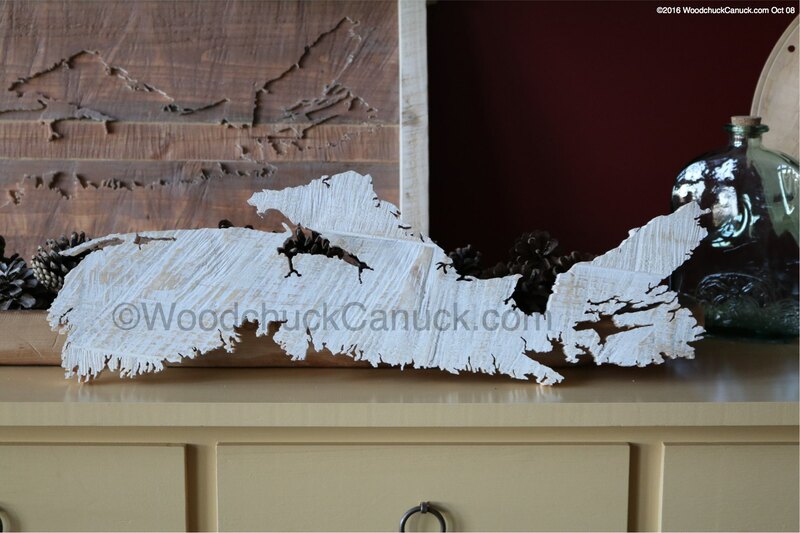 This one is not for sale but an example of what can be made. 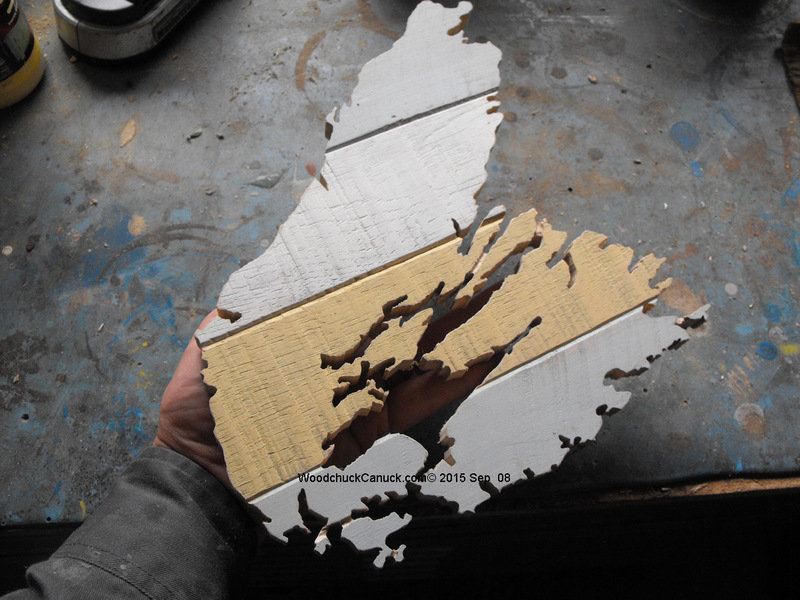 Cape Breton map 8 inches tall, 1 inch thick. 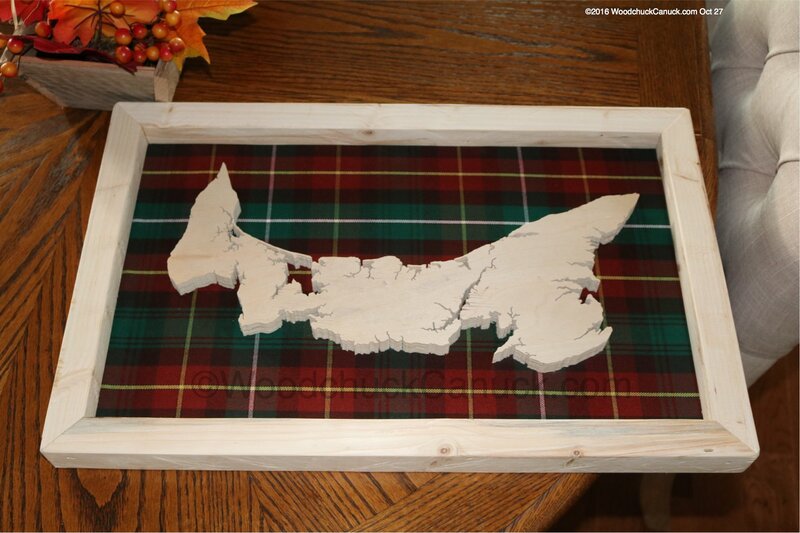 (SOLD) A Cape Breton map replacing the O in HOME to display on a shelf. 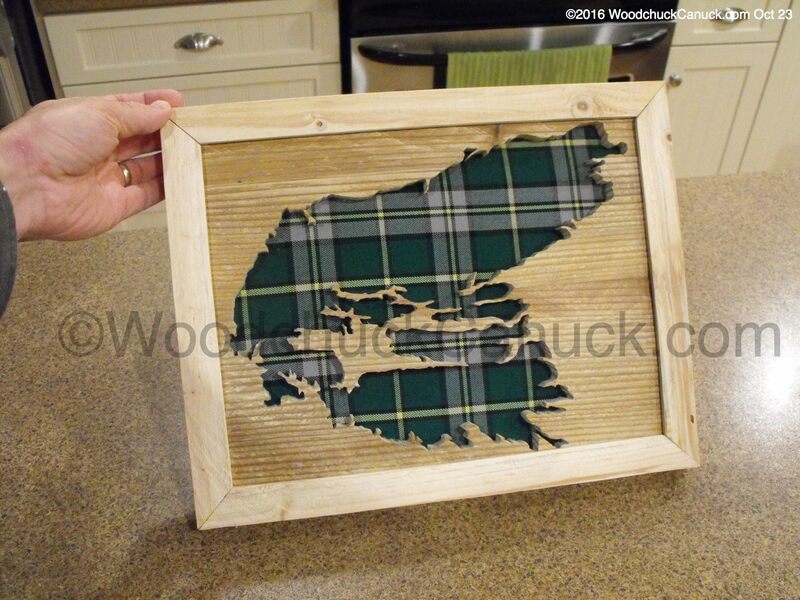 Cape Breton map 8 inches tall painted $15. 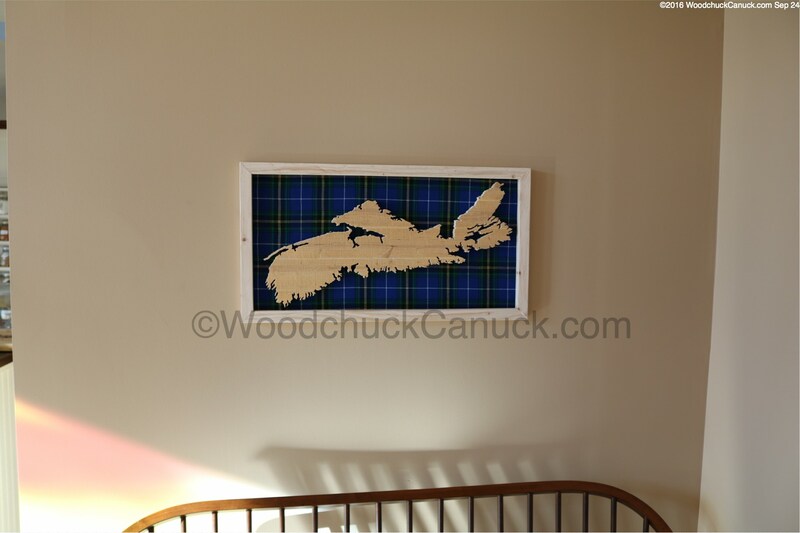 (SOLD) Another Cape Breton map replacing the O in HOME to display on a shelf. 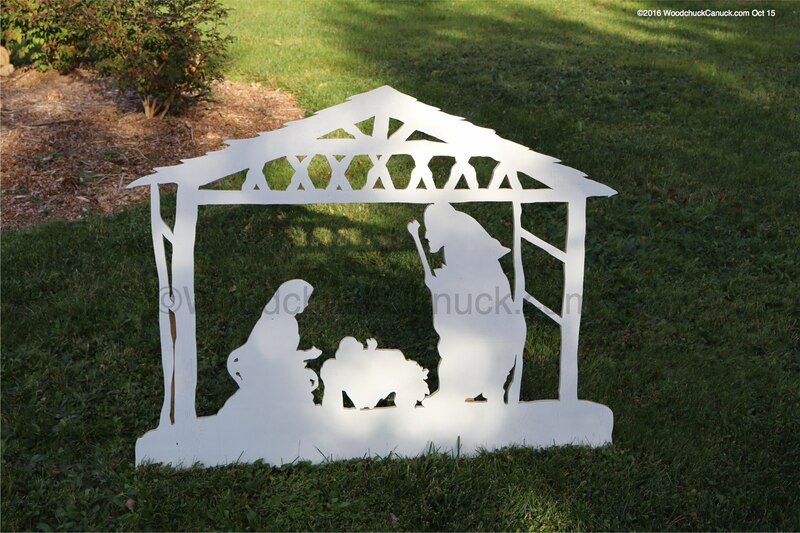 plywood cutout of Christmas Nativity (SOLD) In case you want to make your own, we sell the drawings here. All items can be made to order if not currently available. A minimum non-refundable deposit of half the price is required.